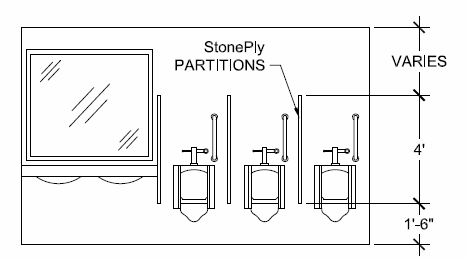 StonePly Sight and Urinal Screens are made from natural stone bonded to an aluminum honeycomb core. 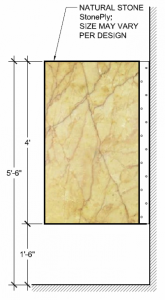 Designers can select from thousands of natural stone types. Finished edges can also be added to the urinal screens for an appealing look. Lightweight for less load on walls and faster and easier installation. Typical sight screens are 48″ to 55″ high and either wall mounted, wall and floor mounted or wall, floor and ceiling braced. Wall-Hung Urinal Screens are typically 42″ or 48″ high. Screen panels are attached to the wall with stainless steel, plated brass or aluminum brackets. 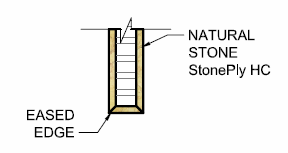 They may be wall mounted, wall and floor mounted or wall, floor and ceiling braced. 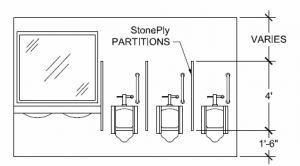 StonePly urinal screens and sight screens work with a variety of commercial hardware. For most applications, a good quality stainless steel or aluminum hardware is recommended. You may order the hardware and urinal screens as a complete package, or order just the urinal screen panels from StonePly and use with your own hardware. 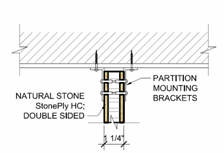 Note to installer: Consult local and national codes and ADA requirements. Conformity and compliance to codes is the responsibility of the installer. 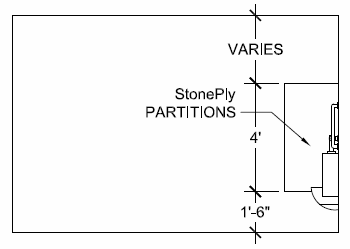 Since StonePly partitions weigh only 5 lbs. 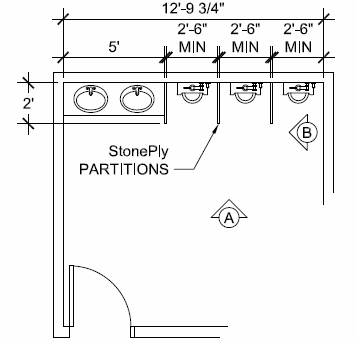 per square foot, they are easily mounted to walls with standard partition hardware. 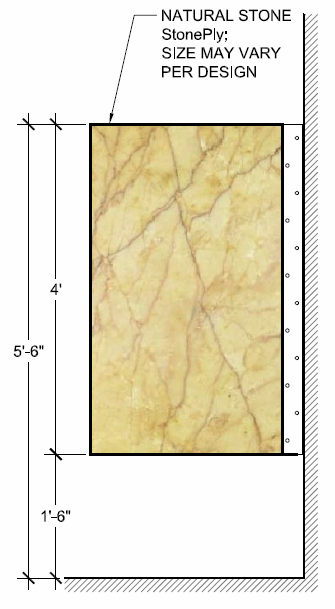 For more information on how StonePly can help you create beautiful and long lasting Urinal Screens please contact us at 903-454-4630 or fill out our contact form.